John Anthony Creemer Clarke was born in Amesbury, Wiltshire in early 1922. He was the son of John Creemer Clarke and Meta Lyons Clarke (nee Thompson). John senior was a crop reporter with the Ministry of Agriculture who by 1939 was living at 82 High Street, Thame, Oxfordshire. John joined the Royal Air Force Volunteer Reserve in April 1940 as NCO aircrew and trained as a navigator. He was Gazetted to Pilot Officer on 4 July 1944 when he was serving with 35 Sqn at RAF Graveley in Cambridgshire. 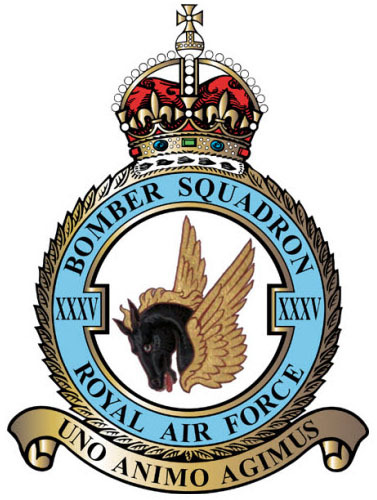 35 Sqn flew Avro Lancaster bombers and was designated as a “pathfinder” squadron. At 17:56 on 19th October 1944 Avro Lancaster ND755 departed on a bombing mission to Stuttgart. The aircraft was shot down by enemy aircraft and crashed north west of Wintzenbach, eastern France at around 20:00 hrs local time. It exploded on impact and all eight on board were killed. John is listed as killed in action on 20th October 1944, age 23, along with the other seven crew members. 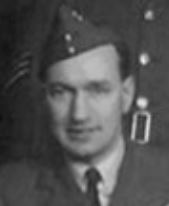 PO Clarke was awarded the Distinguished Flying Cross on 17th November 1944. 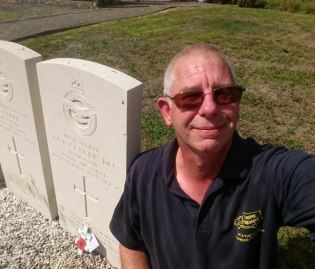 177263 Pilot Officer John Anthony Creemer Clarke DFC, Royal Air Force, is buried in Wintzenbach Protestant Churchyard, Bas-Rhin, France. He is remembered in Thame on the war memorial, on the memorial board at St Mary’s church and on Lord Williams’s school memorial board.